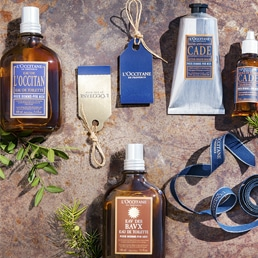 Earlier this year, L'OCCITANE invited Annabel to experience the brand's heritage and ethos at the heart of Provence. 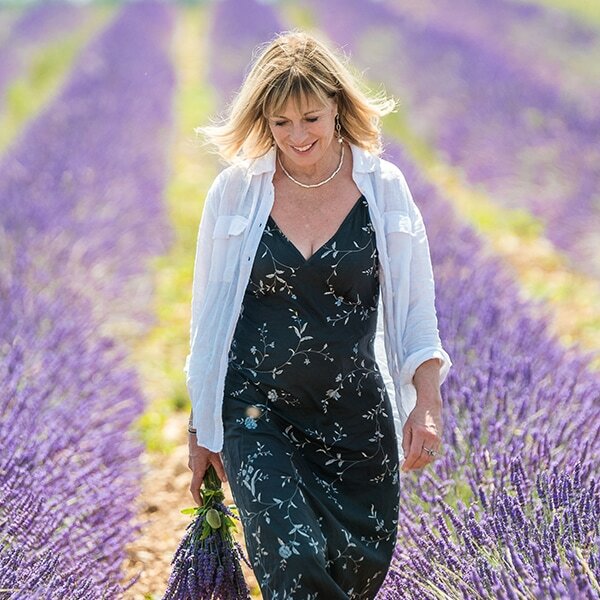 Follow Annabel's journey below, as she recounts her experience and discover the exclusive recipe she has curated for L'OCCITANE. 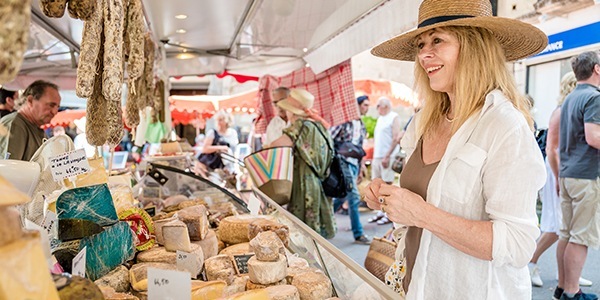 Inspired by her recent trip to Provence, Annabel has created a limited edition recipe for L'OCCITANE .Tasty niçoise olives, sweet cherry tomatoes, tender artichokes and melting red onions are encased in the simplest of crisp, tender olive oil pastries. 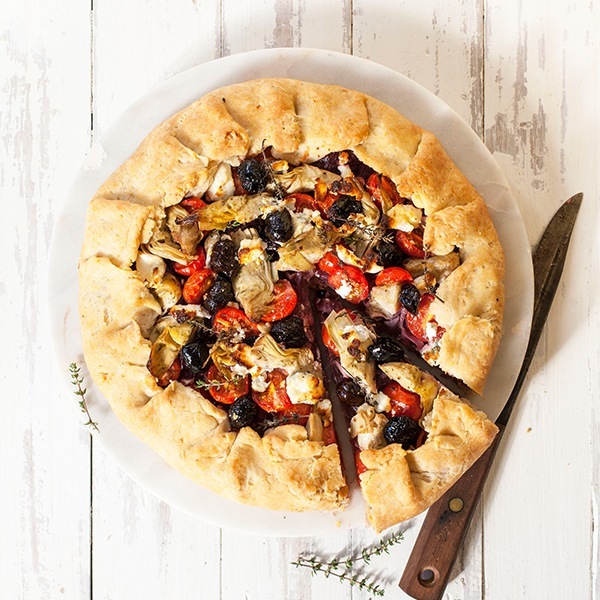 Annabel's Provençal Galette makes a sensational lunch or weekend brunch dish, or serve it up for a vegetarian dinner. 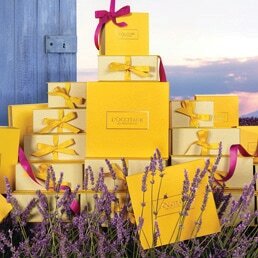 Use the code ANNABEL to receive 15% off of Annabel's L'OCCITANE picks and her limited edition recipe. Online Exclusive - Receive 15% off Annabel's Picks! 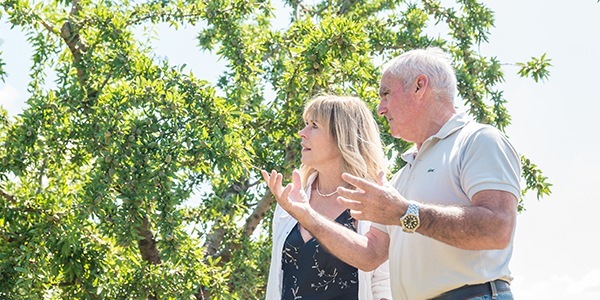 A visit to Provence would not be complete without meeting Jean-Pierre Jaubert, one of the major producers of almonds for L’OCCITANE's famous Almond range here. His family have been farmers here since the beginning of the 29th century. In the early 2000’s Jean-Pierre started to plant almonds for L’OCCITANE and now his farm comprises 16,000 almond trees as well as many acres of lavendin. Jean-Pierre is short and smiley with worn farmers hands. You can tell he loves his almonds and they love him, the trees are strong and healthy and laden with green almonds. 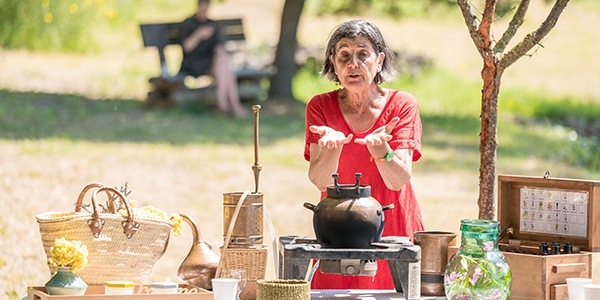 As we step onto the grass in the garden of the Convent des Minimes in the tiny village of Mane, high in the hills of Haute Provence, our guide, the botanist and medicinal plants expert Madame Tachka Sofer, urges us to take off our shoes. She tells us that ‘In these times of long days and short nights there is a beautiful dew’. This dew she says, “is the witness of the ecological climate”. When you walk on it she says, 'you are the link between the earth and the sky '. We climb up the zig-zagging path between the terraces, taking in new scents at each turn- cypress, honeysuckle, oregano, verbena, marjoram and lavender. In the heat of the day, they mingle and merge creating a particular scent I shall from here-on think of as ‘des Menimes’. 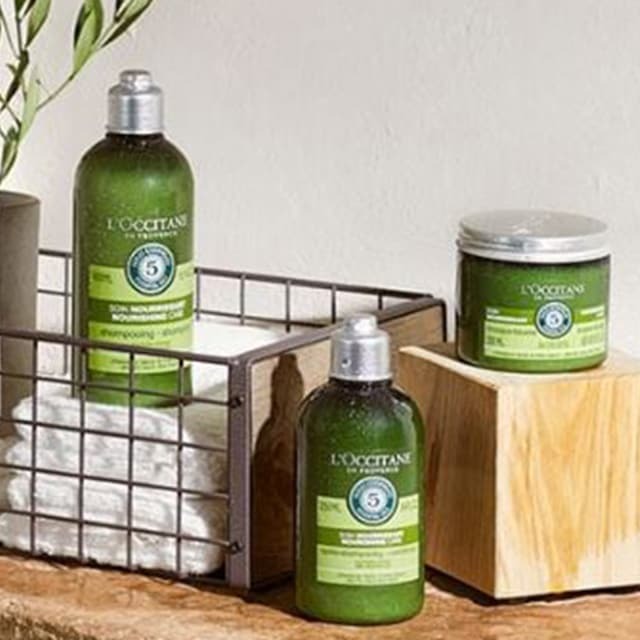 The company’s founder, Olivier Baussan, is a very charming man, whose humbleness and gentle warmth belie that fact that he is a successful businessman. 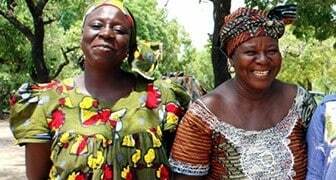 Starting out life in the poorest of families, Olivier found his way into the fragrance business via a old still, with which he set about distilling rosemary oil from the fields where it grew wild. In the company’s centre in nearby Manosque there is a wonderful photo of Olivier from the 1970’s as a young twenty-something year old, standing out in the middle of a vast lavender field with this huge portable copper still, distilling lavender oil. Beautiful smells let you dream, and Olivier set about creating his vision of a brand for natural beauty products based on the power of plants. We drift on the cold night air that seeps down the valley, skimming low over the treetops into the dawn. The occasional wild deer flit out from the trees. 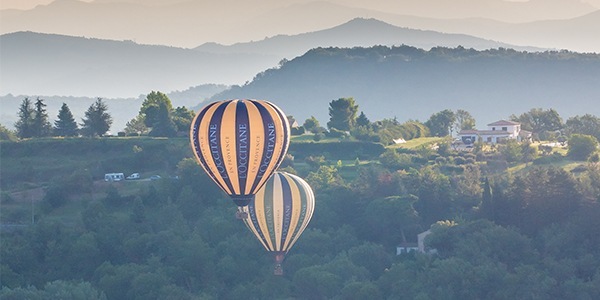 Our balloon pilot releases a roaring burst of flame into the heart of the balloon and we puff up into the sky and catch the higher air where the winds will take us further afield. Up here at around 2,000 feet, the view goes out forever. The plateau is a patchwork of purple, green and gold, echoing the crops of lavender, grass and wheat below. It’s quite a surreal feeling, this travelling with the wind, as it feels breathlessly still. The air is so clear, not surprisingly perhaps, as the region has the distinction of having “ the purest sky and air of France, if not of Europe”.